Our Specialist Faculty are all leading Yoga Therapy Specialists in areas including Yoga for Cancer, Chronic Pain, Disabilities, Ageing, Addictions, Arthritis, Movement Disorders, Scoliosis, Chronic Pain, Yoga Nidra, Restorative Yoga, Chair Yoga, Mindfulness Meditation, and Ayurveda. Most specialists will offer 2- to 8-hour experiential workshops on their area of expertise, according to their availability as part of our course hours during Terms 1 and 3 in Vancouver. If you want to learn more about some of these specialties, you can do some of your practicum hours with our Specialist Faculty, who are also practicing Yoga Therapists. Most of them live and work in Vancouver and are happy to receive you through individual arrangements during Terms 1 and 3 in Vancouver. You can observe or assist your specialist teachers’ classes according to their availability during sometimes reduced summer schedules. For individual practicum work with Specialist Faculty, there will be additional costs that are arranged on an individual basis. You can also seek advice on the delivery of Yoga Therapy for specialized populations outside of classes with our Specialist Faculty in Vancouver. We are excited to be extending our network of Specialist Faculty to those who do NOT live in Vancouver, but who are experts in their specialties.This can be done face to face, in person or on-line. This mentoring can continue at a distance, online, when you are back at home. Baxter Bell, MD, E-RYT 500 teaches, writes, and lectures internationally on the benefits of yoga as a powerful tool in addressing the underlying causes, not just the symptoms, of stress. A leading light in the movement to bring yoga into the mainstream medical world, Baxter has been actively deepening his understanding of yoga and relaxation since moving from his career as a busy family doctor to that of a yoga teacher and medical acupuncturist. He is deeply involved in the integration of therapeutic applications of yoga with Western medicine. Director of Piedmont Yoga Studio’s Deep Yoga Program teaching the Experiential Anatomy, Yoga Technique, and Yoga Methodology portions of the training, Baxter also teaches therapeutics at the Niroga Institute in Berkley and leads workshops on the subject globally. A true renaissance yoga teacher, Baxter has played the violin since age five, is a frequent contributor to Yoga Journal, and is a prolific and popular blogger on Yoga for Healthy Aging. As a specialist faculty member for YTI's CYT 1000-hour program, Baxter teaches Yoga Therapy for Conditions Related to Aging. Robin Armstrong, BA Kinesiology, DC, RYT has combined her decade of experience as both a Chiropractor and yoga instructor to develop a unique type of yoga therapy known as Yoga Rehab. She combines traditional yoga postures drawing from her background in Ashtanga Vinyasa, Anusara, Iyengar, and restorative yoga; with modern rehabilitative exercise and yoga from teachers such as Susi Hately Aldous and Judith Lasater to overcome dysfunction and pain. Robin has shared her knowledge of yoga injury prevention and anatomy with the Canadian Press, American Council of Exercise, Impact, and Alive magazines. 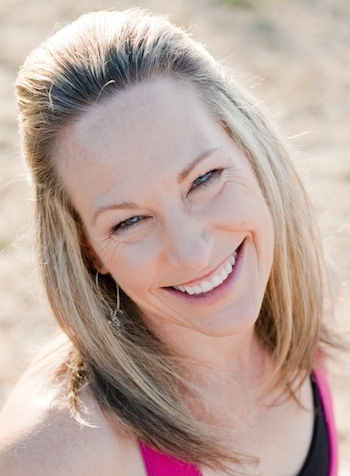 She enjoys writing informative articles on the benefits of yoga and regularly contributes to myyogaonline.com. She has been teaching anatomy and physiology for yogis in a variety of RYT 200 hour teacher training programs: Yoga Works, Semperviva Yoga, Yoga Pod, Open Source Yoga, and now for Yoga Therapy International's RYT 200 as well. Robin is in private chiropractic practice in Langley, BC and has a Yoga Rehab practice at YYoga in Vancouver. 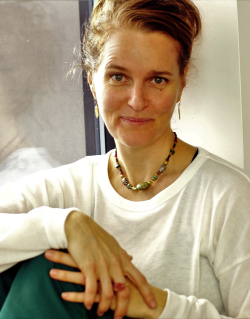 As a specialist faculty member for YTI, Robin teaches Anatomy-Physiology for the RYT 200 in Therapeutic Yoga, and is a Specialist Faculty in Private Yoga Rehab for musculoskeletal conditions in the CYT 1000 program. Neil Pearson MSc, BScPT, BA-BPHE, CYT, RYT 500 is a Clinical Assistant Professor at UBC, a pain educator, and a leader in the fields of physiotherapy and yoga therapy pain care. 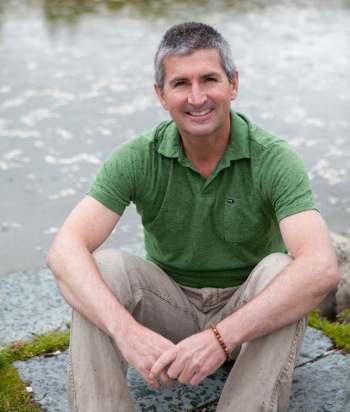 He shares his knowledge and experience as a faculty member in four international yoga therapy training programs, and through his Pain Care Yoga certification process. Neil is the Founding Chair of the Canadian Physiotherapy Pain Science Division, the 2012 recipient of the Canadian Pain Society's Excellence in Interprofessional Pain Education Award, a board member of Pain BC, and recipient of the BC Physio's Excellence in Clinical Practice Contribution award. Neil's clinical work in Penticton is exclusively with people with complex and persistent pain. He offers treatment, education and yoga therapy services throughout BC, Canada and internationally. As a specialist faculty member, Neil teaches about Chronic Pain. In Yoga Therapy International's CYT 1000 program, Neil teaches Anatomy and Physiology for Musculosketal Conditions, a Chronic Pain Specialist Faculty, and a Research Mentor for the Directed Studies Capstone Course. Nicole Emily Marcia, MA in Yoga Therapy, C-IAYT, E-RYT 500: Nicole has been a yoga teacher, therapist and trainer since 2004 and is registered with the Yoga Alliance (E-RYT 500) and the International Association of Yoga Therapists. In 2009, she was awarded a master’s degree with a specialization in yoga therapy from Lesley University in Boston, MA. Since then, she has been employed by Vancouver Coastal Health at their Burnaby Centre for Mental Health and Addiction where she developed a comprehensive yoga therapy program for in-patient clients in various stages of recovery from mental health and addiction issues. She also serves as the director of training at Yoga Outreach, a not-for-profit organization providing volunteer yoga teachers to marginalized populations. In 2010, she completed the Trauma Sensitive Yoga Training at the Trauma Center in Boston, MA, and a course on the fundamentals of teaching yoga and meditation in military communities conducted by Warriors at Ease in Silver Spring, MD. 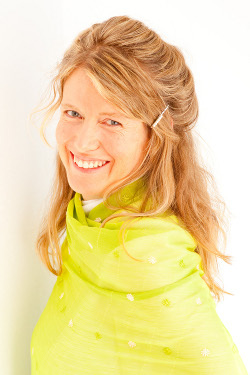 She is a faculty member at Yoga Therapy International, Ajna Yoga and Langara College Continuing Studies. As a specialist faculty member at YTI, she teaches about Trauma and Addictions. Shauna Elton’s lifelong endeavour has been to blend a tapestry of mindfulness and movement holistic practices to help individuals achieve mind-body health. She is an independent dancer, choreographer, and contemporary dance teacher for professional and pre-professional dance classes in the dance community, including Simon Fraser University Contemporary Dance program and for various training programs in Vancouver. She has been active in the dance world for over 25 years and worked and toured with numerous acclaimed choreographers from Canada and abroad. Her yoga studies brought her to Thailand and India to certify in the traditional 8-limbed Ashtanga Yoga system. Her curiosity led her to delve deeply into contemplative meditation practices. She has attended three Vipassana 10-day silent retreats in Merritt BC, and yes, she will go again. She has completed courses in ACT (Acceptance Commitment Therapy) and Mindsight- Interpersonal Neurobiology and is completing her certification in MBSR (Mindfulness-Based Stress Reduction). Shauna graduated from the Institute of Holistic Nutrition as a Certified Nutrition Practitioner and incorporates the effects of food on mind and body in her teaching. She offers a ‘Radiance & Resilience’ program that builds a personal practice tailored to the individual and their specific needs. As a specialist faculty member, Shauna offers classes in mindfulness meditation on Thursday evenings from 7 to 8:30pm.